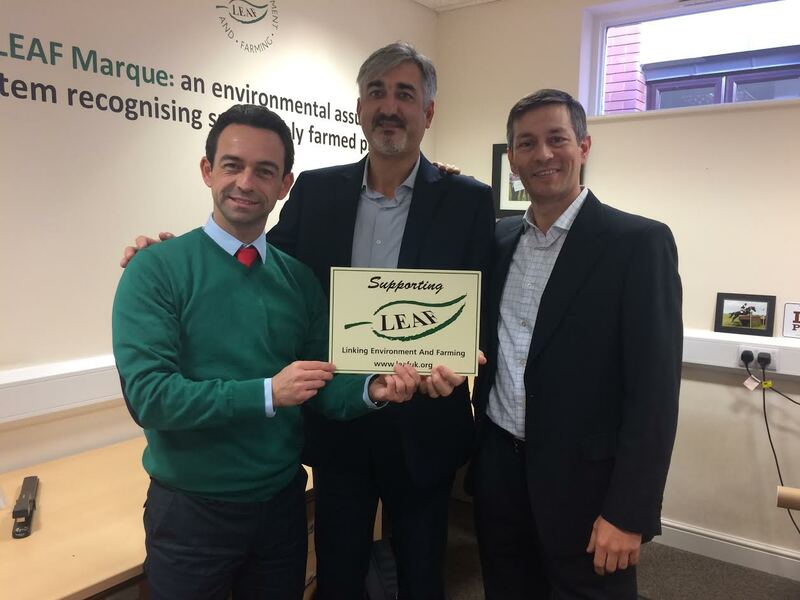 Representatives from the University of Valencia recently visited LEAF (Linking Environment And Farming) as part of the RUC-APS project. The RUC-APS project aims at enhancing and implementing Knowledge based ICT solutions within high Risk and Uncertain Conditions for Agriculture. The project aims to bring together experts throughout the horticulture supply chain through staff exchange to institutions in Europe and South America. Launched in October 2016, the initiative will run for four years and see participants from across the globe visit each other to share knowledge and insights. David Perez, Angel Ortiz and Faustino Alarcon from the University of Valencia visited LEAF for a month at the start of the year. LEAF representatives will make a return visit to Valencia within the year, as well as six other institutions. The scheme brings together participants from seven countries including France, Italy, Poland, Spain, the United Kingdom, Argentina and Chile. As well as University of Valencia and LEAF, other establishments taking part include the University of Plymouth, Systems Research Institute of the Polish Academy of Sciences (IBSPAN), Universite de Tolouse 1 Capitole and Innovation for Agriculture. Caroline Drummond MBE, Chief Executive, LEAF commented: "This initiative will help disseminate knowledge to other international communities - academic, industrial and government - and should result in the establishment of long-term research partnerships."